Six WHOLE weeks!? We know.. but fear not! We have 15 (and a half for good measure) ideas and activities to keep the kiddies (and yourself) busy this summer...take a look at our first one below. 1. Painting With Water simple, but effective. 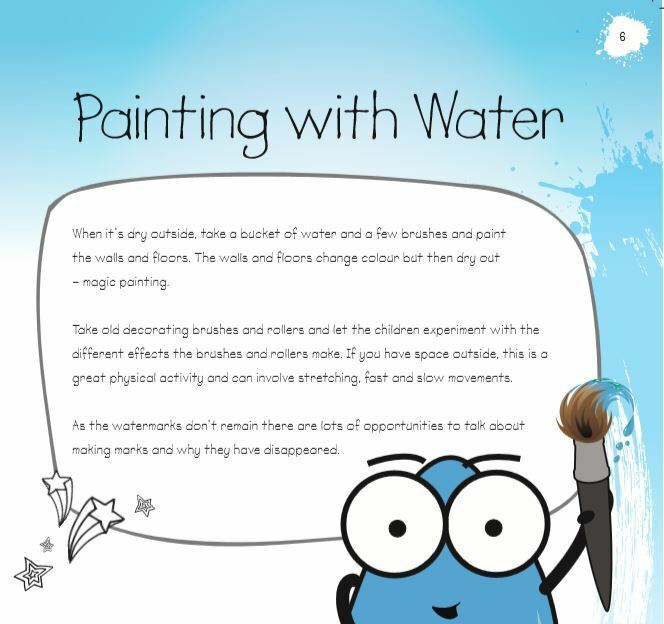 When it's dry outside, take a bucket of water and a few brushes and paint the walls and floors outside, (this won't work if your walls are white!) this could be a pavement, or path, or even a wooden fence. The walls and floors change colour but then dry out after a while, mess free! Take old decorating brushes and rollers and let the children experiment with the different effects the brushes and rollers make. If you have space outside this is a great physical activity and can involve stretching. As the watermarks don't remain there are lots of opportunities to talk about making marks, lots of different shapes and use the same canvas again and again. Try this out at home and share your creations with The Creation Station Ltd on Facebook with the #CreationStation hashtag. If you want to inspire imaginations in your area, find out more about becoming a franchisee here.